The recent months have been a great experience for many of us at the studio, including myself. Several of my pieces taught me how to create a new warmth and continuity in the clay. The designing process also helped me to find a deeper evolution in terms of my composition and style. 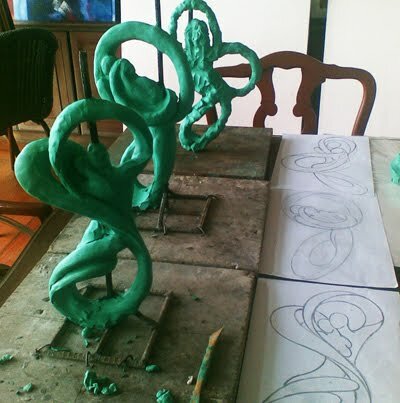 The steady development and success of "Aurora Australis"; my first limited edition series of 8, also paved the way to a new pattern of creation in my career as a hybrid sculptor. Australis had a first run of five out of eight identical figures with varying Narra / Mahogany wood bases. In a few months those 5 works made their way into the homes of gallery patrons and collectors alike, allowing me to take pride in the labor and time I spent creating the master mould design. The remaining 3/8 Australis sculptures have not been made yet, but will be a part of my agenda for the coming months of August through October. On a similar note, now I plan to create more designs for numbered editions of 8 all through the coming months. My next creation "Heartseed" will be unveiled within that timeframe, and other designs (currently on paper) should soon manifest into tangible works as well. I'm very happy and excited for the journey ahead, and I thank everyone that's been supporting me and helping me grow as an artist through the years I've been in this profession. The clay creations and studies are my beginnings for newer designs soon to reach the Artasia Gallery and annual upcoming events. 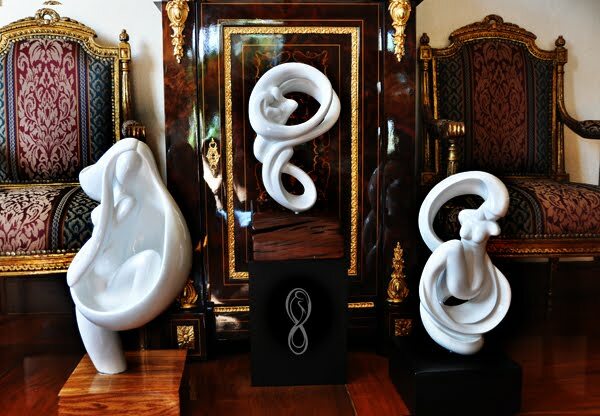 My first new-time piece; "Eternity"- a four foot tall cast marble sculpture was displayed at the Manilart 2010 event at SMX. I'm also very happy that Eternity, despite its great scale and massive size, did not daunt the viewers and collectors, and was soon purchased on the second running day of the exhibit.